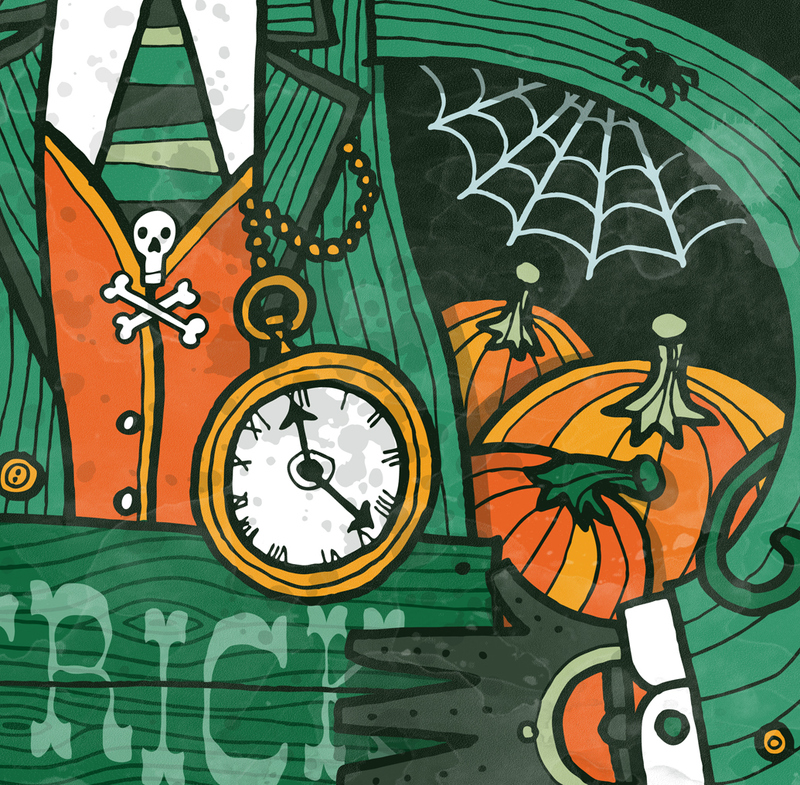 Two personal illustrations created around the theme of Halloween. 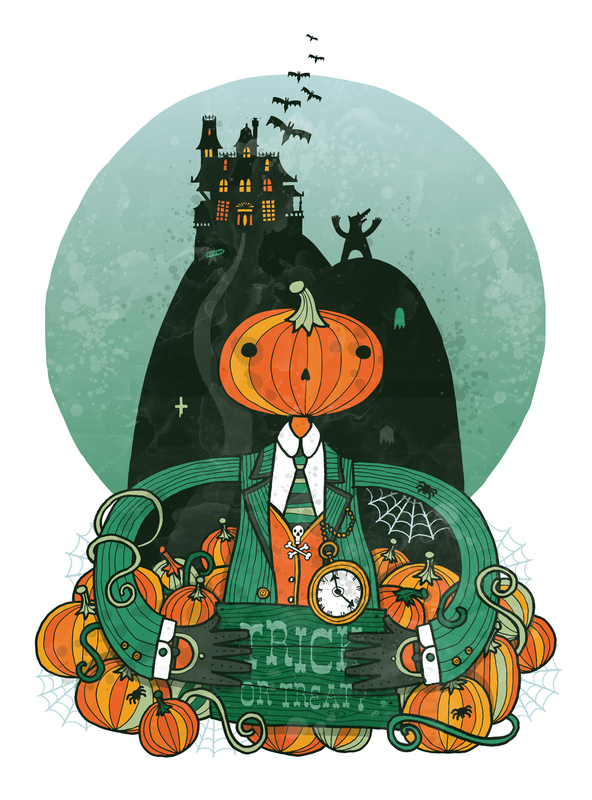 The first shows a scarecrow made of pumpkins guarding the entrance to a haunted house & the second is a kind of a homage to classic 60s spooky sitcoms such as the Adam's Family & the Munsters. 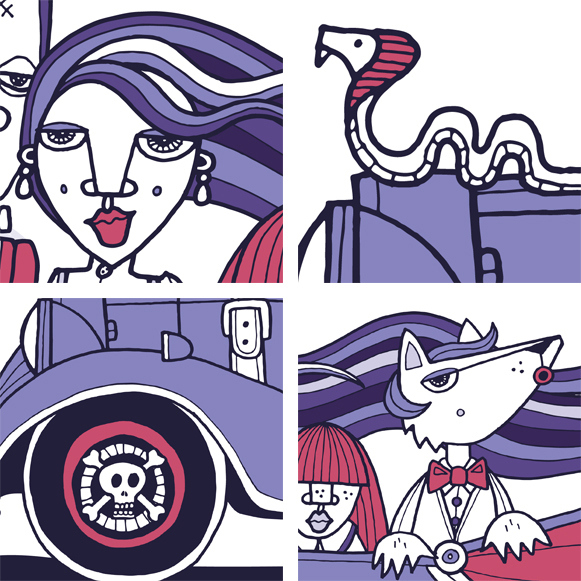 Also with a nod to Wacky Races 'Creepy Coupe' the spookmobile is packed with this gruesome family of oddballs & gouls! © Allan Deas 2016 All Rights Reserved. No content of this website may be used without prior consent.